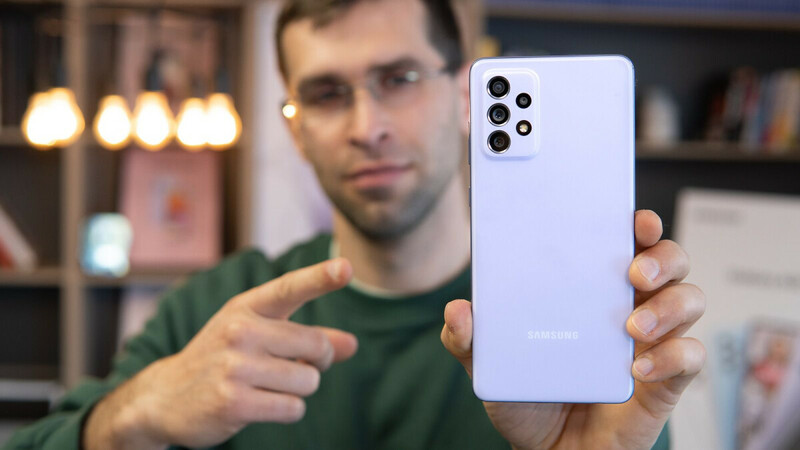 With so many phones on the market, and with the gap between mid-range and high-end narrowing each year, finding the right phone for you is not an easy task. Sure, if you've got $1000 ready to go, getting the best of the best is not a difficult task; you can narrow down your choice to 4-5 phones. However, when you're on a bit of a budget, but are not aiming extremely low, the mid-range segment has a lot to offer, and it can get confusing. If you're looking for such a device, you'd be surprised how much you can get for a rather modest sum of cash (when compared to the ultra-high-end, at least). With that said, here are our picks for the best phones under $400! In a sea of huge devices, Nokia 7.1 is an unusually compact phone. It is also quite a looker with its sleek and sturdy glass and metal design, which becomes all the more surprising when we take into account the sub-$400 of the Nokia 7.1. With a mid-range Snapdragon 636 chip under the hood backed with 4GB of RAM, the Nokia 7.1 is quite capable in its own right. Furthermore, it comes with Android Oreo out of the box and is now receiving an update to Android 9 Pie, so you're getting the latest and greatest of pure Android at a bargain price. The camera ain't half bad either, considering the price. All in all, if you're looking for the best sub-$400 phone, you can't go wrong with the Nokia 7.1. The Nokia 6 was one of the most popular affordable phones of 2017, and the New Nokia 6 (a.k.a the Nokia 6.1) is no different in 2018. 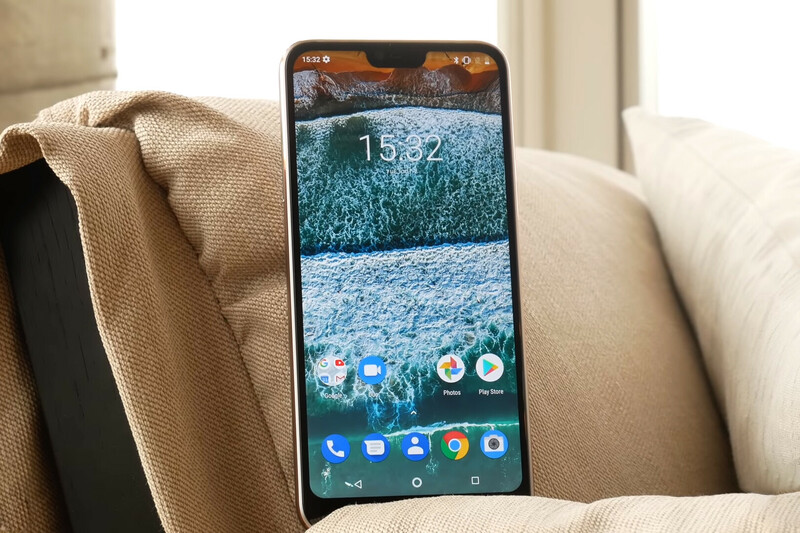 The Nokia 6.1 looks and feels a lot like its predecessor: it’s a 5.5-inch phone with a metal design that feels very thin and runs on Android One – a clean, bloatware-free version of Android that is first in line when it comes to future updates. The Nokia 6.1 is also more powerful than its predecessor and can now record 4K video. The Pocophone F1 has been a much-talked-about phone in the last six months, and for good reasons. 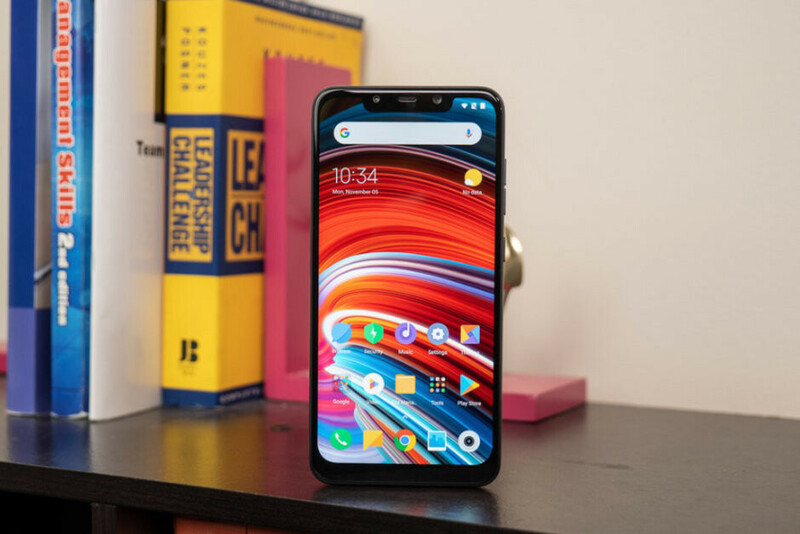 The Pocophone is just a great deal for the asking price of under $400 – it is equipped with a flagship-grade Snapdragon 845 processor, backed with 8GB of RAM and a 4000mAh battery. We know this sounds crazy for such a cheap phone, but it's true. Of course, there are some concessions to be made at this price point, such as the display, which is LCD instead of OLED, and the rather cheap-looking plasticky build. Other than that, however, the Pocophone F1 is an excellent buy (unless you're in the US where the phone doesn't get great LTE coverage). 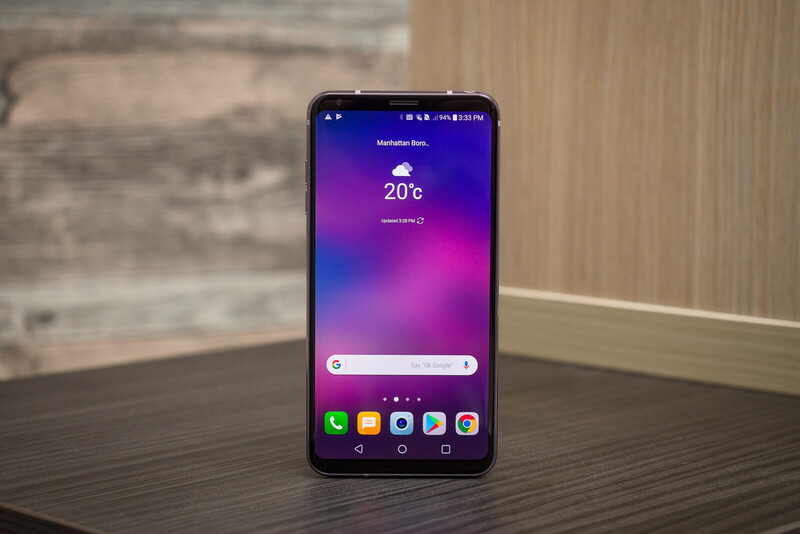 The LG V30 was one of the best looking phones last year. Riding the "bezel-less" trend, LG managed to create a sleek, notchless phone with a gorgeous glass back. Some V-series fans may not be entirely pleased with this phone's less experimental nature, but it's still a solid device. Powered by a Snapdragon 835 and 4GB of RAM, the LG V30 still manages to pull through in terms of performance this year. Furthermore, it has a dual camera setup on the back with a wide-angle lens, which is just perfect for street photography and landscapes. Of course, one of the biggest draws for audiophiles is LG's 32-bit Quad DAC, which delivers excellent audio through the headphone jack. The Moto X4 is the first Android One phone to come to the United States with Project Fi, and this guarantees proper updates (a rarity on affordable Android phones), but the X4 is also a great device to begin with. The Moto X series isn't what it used to be. Since Lenovo’s acquisition of Motorola's smartphone business, the once-high-end Moto X lineup has been demoted to a mid-range ranking, overtaken by the Z series as the Moto brand's top smartphone selection. But last year's Moto X4 is intriguing nonetheless. In a nutshell, it is a mid-range handset with premium looks – one that just barely eclipses the G series’ spec sheet, but stands out with its fancy construction, dual-camera setup, and IP68 water resistance. If you want to have a phone with a long-lasting battery, the Moto Z2 Play is probably one of the best choices out there. It's not quite the battery champ as the original, but it's not too far off. It's also now slimmer and more elegant, The Z2 Play runs on Android 7.1 Nougat (upgradable to Oreo) and features a clutter-free Moto skin that operates quickly. It has a very good 12MP main camera that is also able to capture video at up to 4K resolution. The Moto Z2 Play also supports Moto Mods, the magnetic super-attachments that can add even more battery, improved sound, or even a projector, but even without them, the Z2 Play is quite a good deal. The Motorola Moto G6 offers a great bang for your buck. It sports a metal-and-glass design with a curved back for a comfortable in-hand feel. The display is a 5.7-inch, 18:9 panel with a 1080 x 2060 resolution that delivers sufficient brightness, although it isn't superb for outdoor use during sunny days. The Moto G6 is powered by the Snapdragon 450 chipset, has 4GB of RAM, 64GB of expandable onboard storage, and a 3000 mAh battery, which delivers surprisingly good screen-on time. The Xperia XA2 is one of Sony's latest, well-rounded midrangers and it comes with the promises of long battery life and great camera performance. Moreover, it is among the first Xperia handsets to have functional fingerprint scanners on board – a feature that has been missing from US-bound Sony phones until now. With its snappy performance and solid battery life, the Xperia XA2 offers good value for money, and despite some minor issues here and there, it's a good deal for those who want to get the most bang for their buck and don't want to spend a fortune on a new phone.